Professional Astrologers Kelly Lee Phipps & Krysta Stahl Roy deliver an exciting, innovative podcast that details the current celestial forecast for the week, astrology illustrated segment, and the Supernova Star of the week! An Ishtar-Easter poem came through today... Sorry for the extended sabbatical on the Cosmic Weather...I will resume recording s once the Tao of Astrology, my life work is complete! Should be June 2013! Here's a LINK to the poem! http://www.divineinspirationastrology.com/audio/Being.mp3 Here is the text: Being Everyone is in their own way... go ahead, tell me your perceived limitations: “I can’t live my dream nor the dream through me, until certain conditions are met.” But why? What if you realized this orchestration of life, of energy-mass afloat within a vibrant space-time continuum is guided by a stream of archetype-consciousness surfing the startide of a universal life wave? And you cannot fail...you simply and utterly cannot fail! Even if you tried...for your Being itself is THE pinnacle experience of eternal being crystallized through a brilliant spectrum of dream symbol rivers, aglow through emotion, aflow through thought, alive through form and its sacred sensation... this body of untold passion, a vessel uniting, expressing five dimensions of experience at once... This is it! This is the game the Universe is playing... and you are a precious piece in the field of play... So let go of your particular peculiar despair... and allow yourself to breathe beyond beliefs, to unravel the web of memories supporting the labyrinth of layered attitudes that ignite your behavior... Go back to the center, before all these codes were inscribed in the heartwood rings of being, and release the invisible strands of tension molding your figured knots into the elegant but sickening burrs of your fears... Allow yourself, whoever and whatever you are, to completely BE! I had a riveting interview with astrologer Eric Meyers about his new book on The Astrology of Awakening. Check it out Here. Hello everyone! We've got an interesting slate of creative energy being beamed into the cosmos this month starting with this jam packed Trickster New Moon in Gemini (which one was the real New Moon in Gemini? )...leading up to the grand vision of the illuminating Capricorn Full Moon, occurring in the sign of the Wise Elder on July 3rd. 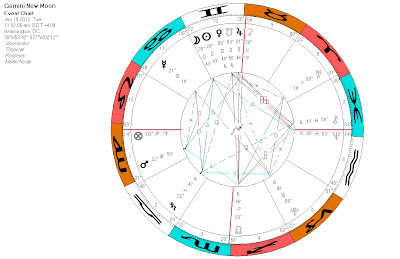 The New Moon in Gemini on Jun 19th preceded the entrance of the Sun into Cancer on June 20th...adding the seeding period to the new Summer/Winter polarized season. (yes I said winter...cause in the southern hemisphere they are shivering as we in the north are warm as can be and dying of thirst). Here's the chart of this bold Gemini New Moon: The fist thing to note is that all this is happening as Uranus is closing in on its square to Pluto, which is the turning point in the cycle that brought us the Sixties Generation back in the day. So this is Sixties 2.0 and we are being called to create structures in the world that rhyme with the revolutionary transformations occurring. I'm laying the foundation for a new renaissance age academy here in Boulder, Colorado. What are you up to? Or do you even care? Cause some people might just be experiencing this impactful transit in a more disastrous way...but they are still participating... I talk about it more in the podcast (link below). Here is the chart for the Capricorn Full Moon on July 3rd. Notice the Full Moon is conjunct Pluto? Yeah, big change is on the horizon! Deep, dark, mysterious and gritty change that grips your life until you give in. That kind of full moon illumination that leaves you feeling like a zombie if you don't navigate it's waters right. The key is to ask what you were planeting (misspelling intended) when the New Moon was there back in January. I was gearing up for some Euro travels back then and expressing myself in new ways while exploring London. In any case, it's time to let go, and let things flow. Find out more from this month's podcast: Here's the link! Venus Transit * Jupiter into Gemini * Sagittarius Full Moon The sky is alive and breathing with redolent symbolism this June 4th and onward for two weeks. IN this podcast I discuss the Sag Full Moon shining its enthusiastic vibe of faith through divine inspiration into the depths of one of your Houses. Where are you being asked to be inspired and walk with vision? 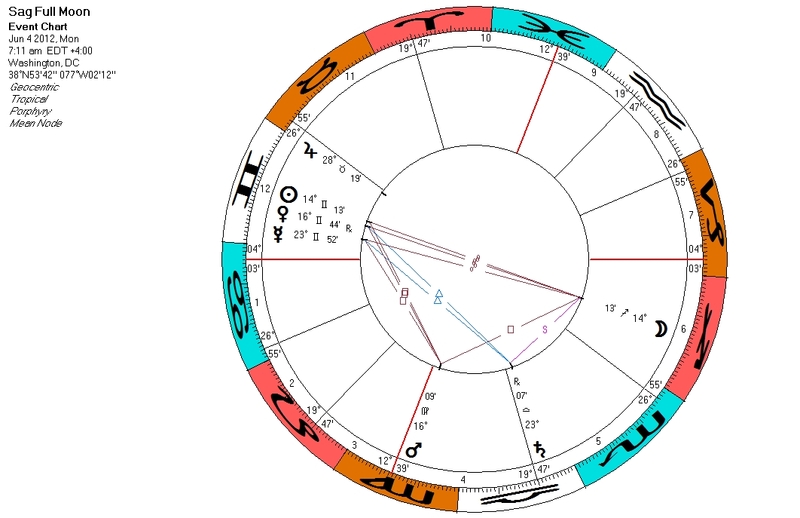 Also, this potent and rare Venus transit across the face of the Sun asks us to question where we are in our relationships and general fulfillment in life. Look back at your relationship patterns from 2004, 1996 and 1988 and try to comprehend your unique pattern. Ask yourself if the pattern id destructive or constructive. Make adjustments where required and practice forgiveness. Jupiter in Gemini asks us to pick our Muse over the next year, or, in keeping with the Gemini symboizes, pick two Muses and expand your talent with them. Of the Nine Muses, I choose Urania and Epic Poetry! Go to Wikipedia and type Nine Muses for the other options! Here's the link. Enjoy the show!